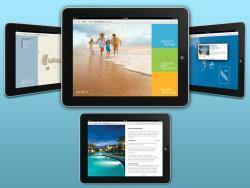 Description: The Bluegreen Owners App was developed to be given to new customers preloaded on a new iPad. This app offers vistors to their many properties a way to view maps, information, locate resorts, directions, videos, photo galleries, room layouts, search, and much more. Description: MiCa Sports is an executive search firm servicing the needs of companies conducting business primarily within the sports and entertainment marketing industries. 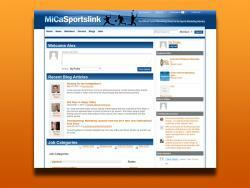 The MicaSportsLink website was estbalished to create a social and business networking platform for sports professionals to post jobs, browse profiles, blog, and many other features related to being more productive in their field. Description: Finding quality international food products doesn't have to be a chore. 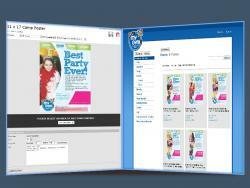 You'll enjoy shopping the easy-to-use website from the comfort of your own home or office. Browse page after page of tasty treats and meal-time staples instead of walking aisle after aisle of a crowded international food market. 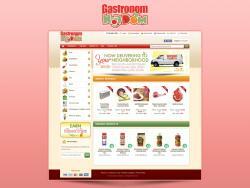 GastronomNaDom delivers high-quality meat, fresh produce, catering, and numerous other food items to your home. 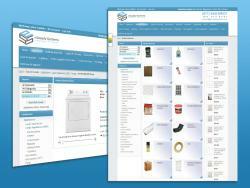 This online supermarket makes life a little easier and products more available in one location. 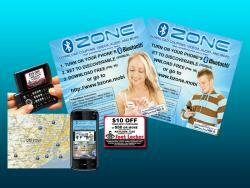 Description: Utlizing a network of Malls in the NY/NJ area, Footlocker distributed coupons to mobile phones engaging consumers to go directly to stores to redeem their discounts. Description: Since 1983, My Gym has established local facilities where children learn and grow through unique and exciting activities. My Gym Kids worldwide develop healthy minds and strong bodies under the guidance of trained and loving instructors in a safe, clean and noncompetitive environment. This project provided the myGYM administrators and franchisees the ability to upload, customize, and output high-resolution marketing print materials that each franchisee can edit with their own personalized information. 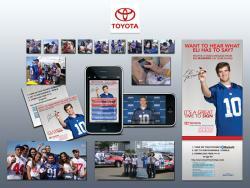 Description: Japanese automaker Toyota launched a targeted location-based mobile marketing campaign at the NFL’s New York Giants’ season opener, using technology, traditional marketing, and guerilla marketing. 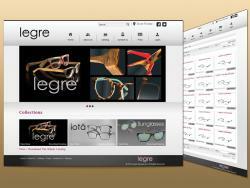 Description: Legre, now a popular brand in the eyeglasses world, has successfully added an abundance of new styles and colors to their collection. Now proudly offering more than 120 styles, which include women's and teenagers' frames, as well as a great variety of men's styles. 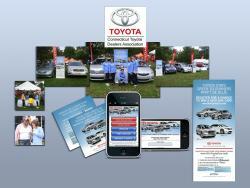 Description: The Connecticut Toyota Dealers Association, a sponsor of the ING Hartford Marathon, used mobile technology to implement a gas card sweepstakes along with traditional and guerilla marketing. 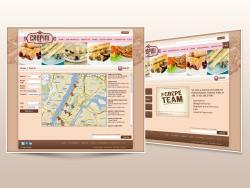 Description: Crepini is a manufacturer of fresh frozen crepes which are available for Supermarkets, Dining/Food Service, Hospitality & Travel Services, Cafes, and Schools & Universities, and recently featured on QVC. Find out about the company, the team, all their products, and where these delicious products can be found on their website. 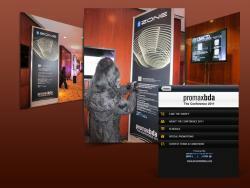 Description: PromaxBDA reached out to us to help add mobile technologies to their conference. We designed and developed a mobile site for attendees to use during the conference that helped them find schedule info and also complete surveys at the end of each session. We also provided QR code technology, Bluetooth marketing to promote special events during the event, and graphic design services. Description: As part of their campaign for the new season of Nip/Tuck, FX Networks used mobile marketing to deliver a message from the 2 main actors directly to passers-by of their promotional posters and billboards. 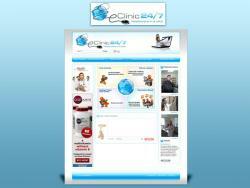 Description: eClinic247.com is a medical portal where patients can find doctors, specialists, and clinics based on multiple criteria. Doctors can post profiles containing their information, photos, videos, office forms, and also allow patients to request appointments based on their availability and updated schedule. Discussion forms,articles, and health calculators are some of the other beneficial tool offered by this site. Description: Gator Investments is headquartered in North Miami Beach, Florida and is a privately held investment firm that features a diverse portfolio of commercial developments including retail, residential, office, and industrial properties located across the United States. 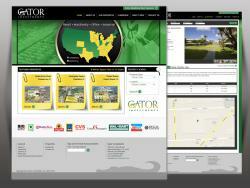 Gator Investments is a full service real estate company specializing in the ownership, development, management, and leasing of income producing properties with over 124 properties in 21 states.